We hope that you will join us throughout the year as we explore how racial injustice is manifest throughout the criminal justice system, and what we, as concerned Reform Jews, can do to bring justice to the system. The number of incarcerated people in America quadrupled from 1980 – 2008, going from roughly 500,000 to 2.3 million people. The Florida Department of Corrections has the third largest prison system in the country, with over-representation of people of color. One in three black men can expect to go to prison in their lifetime versus one in 17 white men. Black women are twice as likely as white women to be incarcerated. Florida is also one of only 4 states with the harshest laws which bar people with past felony convictions from ever casting a ballot again, even after all terms of the sentence have been completed. One in four adult African Americans in Florida cannot vote – that is 1.68 million Floridians who cannot vote because of prior felony convictions. Our congeregation collected signatures for the Florida Voting Rights Restoration for Felons Initiative for the 2018 ballot, which would restore the right to vote for people with prior felony convictions who have completd their sentences, except those convicted of murder or a felony sexual offense . Other initiatives will be shared throughout the year. As part of our Temple-wide campaign for immigration, we are taking action in support of the campaign to shut-down the federal, for-profit Detention Center of immigrant children in Homestead, FL. This week, K-2 students of TBSIS and JAB students 3rd grade+ have been writing letters to children detained there. These are messages of hope, friendship and care, inspired by our own people’s liberation story, which we recount each year at Passover. Next month, the letters will be hand-delivered by Congresswomen Mucarsel-Powell and Shalala. As part of this campaign, we are asking our adult members to sign the attached letter to your federal senators in support of the campaign to shut-down this detention center and stop detaining immigrant children in prison-like conditions. Email your letter to Rabbi Bair when completed, click here for more information. Justice League 2018-2019, just returned from an incredible 7-day service-learning trip to Guatemala. We are now accepting applications for next year. If you or someone you know is rising 11th or 12th-grader interested in engaging in Jewish social justice and building leadership skills, please download the application from our website and submit to Rabbi Bair by June 1. Temple Beth Sholom Leadership meetings: Join with others who want to make a difference and are interested in participating in community grassroots change. Contact Rabbi Davis for more information. Temple Beth Sholom is a proud member of Miami PACT – People Acting for Community Together. 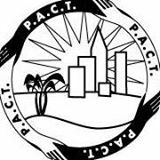 PACT is an interfaith social advocacy group that works to make lasting change in the community and to hold leaders accountable. Their current initiatives are reducing gun violence, immigration reform, and affordable housing. To get involved with PACT, please contact Rabbi Davis. REGISTRATION BEGINS AT 6:30, CALL TO ORDER AT 7:30 PM. WE HIGHLY RECOMMEND ARRIVING EARLY. Join over 1500 people standing together for Immigration, Affordable Housing, and Gun Violence. Members from throughout Miami Dade come together at the PACT Nehemiah Action to present research on community problems and ask our public officials for specific commitments to implement solutions in our community. Learn more about the Reform movement’s commitment to tikkun olam by healing the world through advocacy at the Religious Action Center. For up-to-date information on social justice issues visit the Religious Action Center Urgency Now page.